A groundbreaking ceremony has been held for a new primary school, which is set to open in Chellaston. 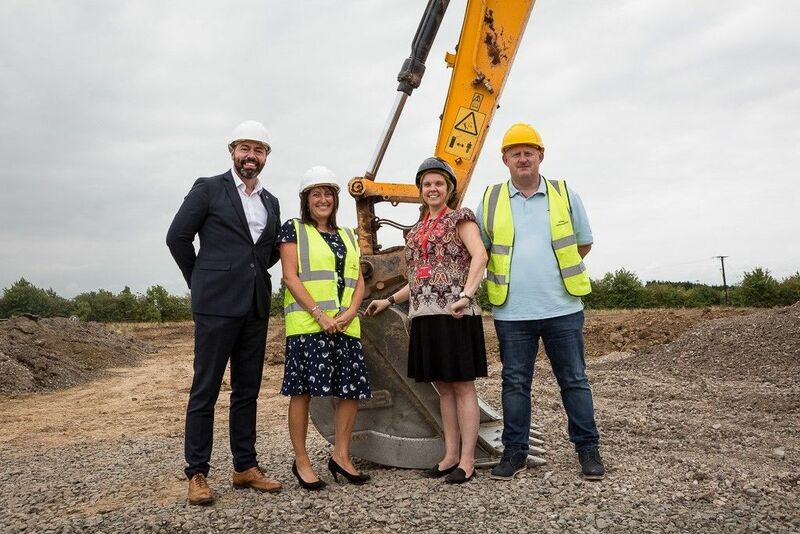 Chellaston Fields Spencer Academy will open in September 2019, giving local builders Bailey Construction just one year to develop the brownfield site selected for the school and get it up and running. On completion, Chellaston Fields will have places for 210 boys and girls aged five to eleven years old. The site – located on the Derby and Derbyshire boundary at the roundabout connecting the Derby Southern Bypass with the Swarkestone Road – was selected by the council to serve the hundreds of new houses currently under construction in Chellaston. The school site neighbours the 450 new homes planned by Persimmon Homes as part of their Regents Place development, some of which are already occupied. Another two hundred new homes are planned for Holmleigh Way. A commercial centre is also planned by Persimmon. This will include an Aldi supermarket, which is scheduled to open by the end of 2018, and potentially, a drive-through Costa coffee franchise. Chellaston Fields is part of the Spencer Trust academy chain and will have close links with other Ofsted outstanding Spencer primaries in the area. It will be a feeder school for Chellaston Academy, which means the children who attend Chellaston Fields will have the choice to progress to this Ofsted ‘good’ secondary. The ground-breaking ceremony was attended by Spencer Academies Trust Chairman Pete Marples and Chief Executive Paul West, together with Director of Primary Education Angela O’Brien and Trust Associate Vice-Principal Laurie Baczynski. The ceremony was also attended by Sally Walters, director at Derby-based Armsons, who have been appointed project managers and cost consultants for the project. A consultation process has been designed to ensure that the newly constructed school will be designed around the children’s needs, with large areas of outdoor space and a design chosen to maximise natural light. Bailey Construction is a Derby based construction company which has worked on schools across the Midlands. “We’re delighted to be working on what promises to be a really exciting project, which will bring a new primary school to the rapidly expanding village of Chellaston. Pictured: (from left) Spencer Academies Trust CEO Paul West, Director of Primary Education Angela O’Brien, Principal Designate Laurie Baczynski and Chairman Pete Marples. 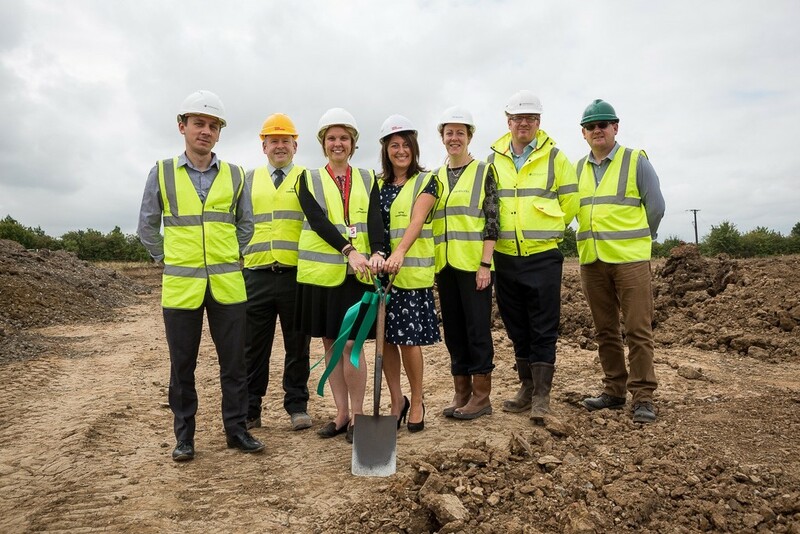 Pictured: (from left) Karol Kania, Persimmon Homes; Andrew Lucas, Bailey Construction; Laurie Baczynski, Spencer Academies Trust; Angela O’Brien, Spencer Academies Trust; Sally Walters, Armsons; John Lindsay, Persimmon Homes; Phil Jepson, Derbyshire County Council.